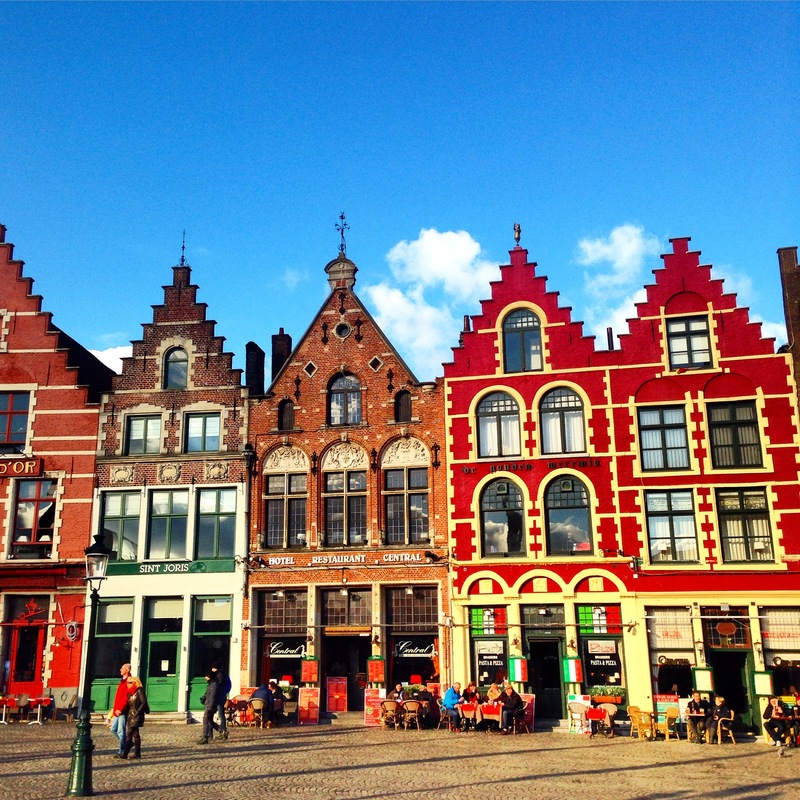 Arriving in Bruges is like stepping into a fairy tale. And although discovering this city is best on foot without a map, I wanted to narrow down the essentials must-sees and dos. 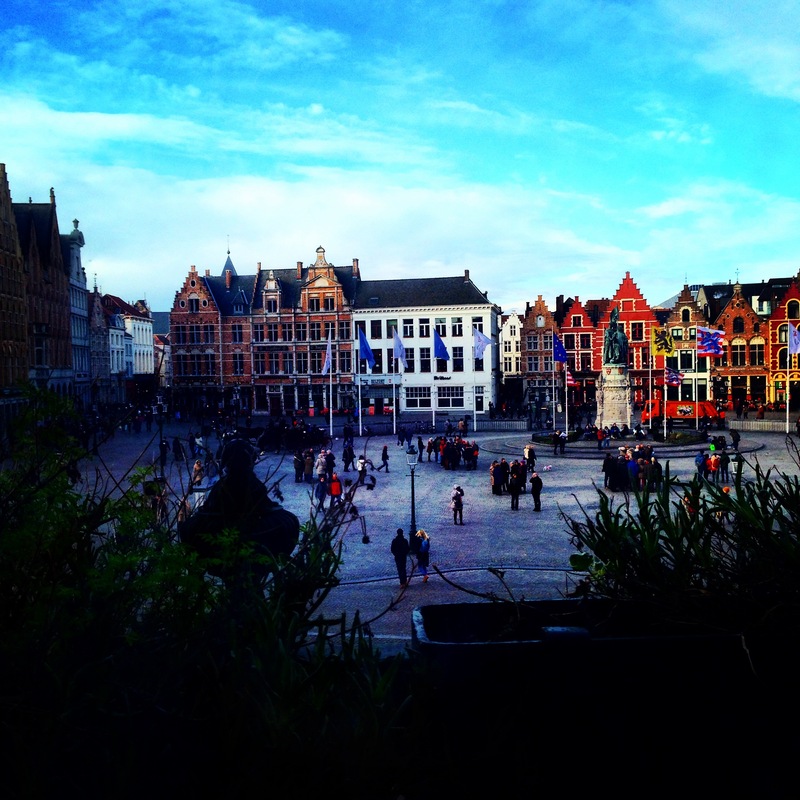 So here’s our Weekender’s Guide on what to do in Bruges! The streets are cobbled, the air is crisp and clear, the people are delightfully friendly and the bell towers chimes out tunes from your childhood. The chaos of London seems so much further away than just a three hour train journey when you’re greeted by the clip-clopping of horse drawn carts and the smell of freshly made waffles drizzled with melted luxury chocolate. The pace of the city is slow, a crawl, a meander, a stroll. No one is in a rush. Nothing seems urgent. 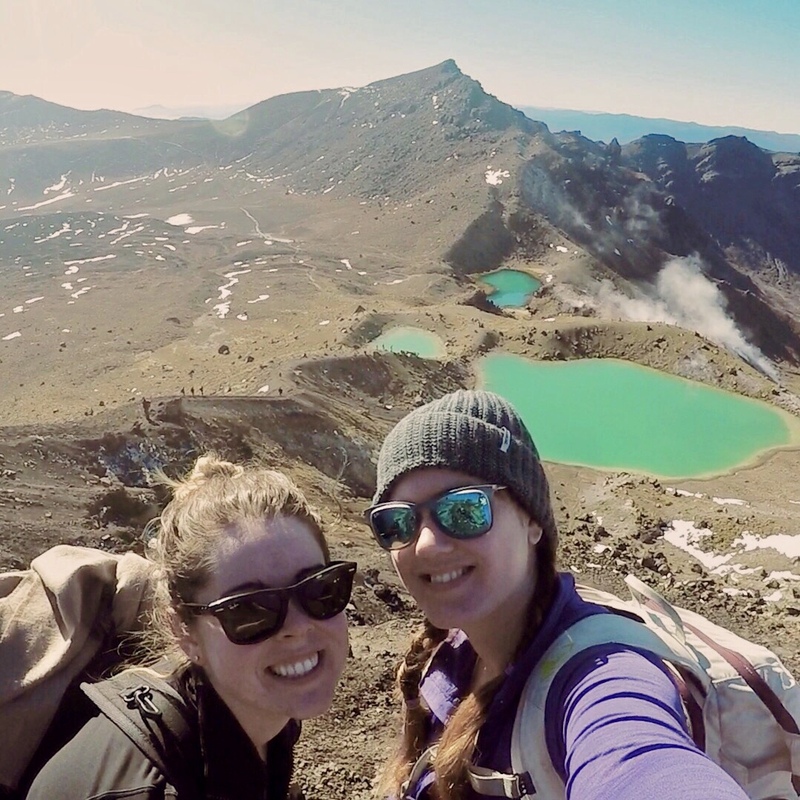 And even the locals seem happy about wiling away the hours sipping beers, eating bar nibbles and wandering the winding streets in the chilly weather. Bruges is compact and the perfect weekender size. Two days and you’ll see everything the guidebooks say is important; three days and you’ll start to feel at home and find little treasure troves dotted and hidden in its canal-carved streets. But the bars and beer sampling can be distracting. It is home to over 40,000 beers after all. No one would blame you for settling down in one of the hundreds of cosy bars and pubs and losing an afternoon to beer-tasting. To help you see the fairytale sights, without missing out on any of Bruges’ finest liquid exports, we have a ‘must see list. Tick this off, and you can spend the rest of the weekend sitting by open fires and fine tuning your ale and beer senses! This is probably one of the most iconic buildings in Bruges, known best for it’s chilling scene in the movie In Bruges. But thankfully, on a sunny day, it’s not as eerie as the screenplay. The UNESCO World Heritage site is carefully monitored, so only 70 people are allowed within the tower at the same time, so do expect some queues. Take your time climbing the 366 (extremely steep at times!) steps to the bell tower at the very top and enjoy 360 panoramic views. For the whole weekend we were there, we weren’t able to tell when or how regularly the bells chimed, but listen out for some old nursery rhymes and melodies of your youth. We remembered hearing Édith Piaf’s La Vie en Rose ringing out on Monday morning! Get to know the city the same way the hundreds of Bruges’ swans and ducks do – by water! We were told that usually the tours only run in the spring/summer months, but because of the exceptionally good weather we had on the Saturday, one canal tour operator opened up for the tourists. It was more than a little chilly gliding along the canals, taking the views from a completely different angle, but well worth the the €9. Remember to wrap up warm if you are taking to the water in the winter months, our ears were icicles by the end of the 30 minute tour! 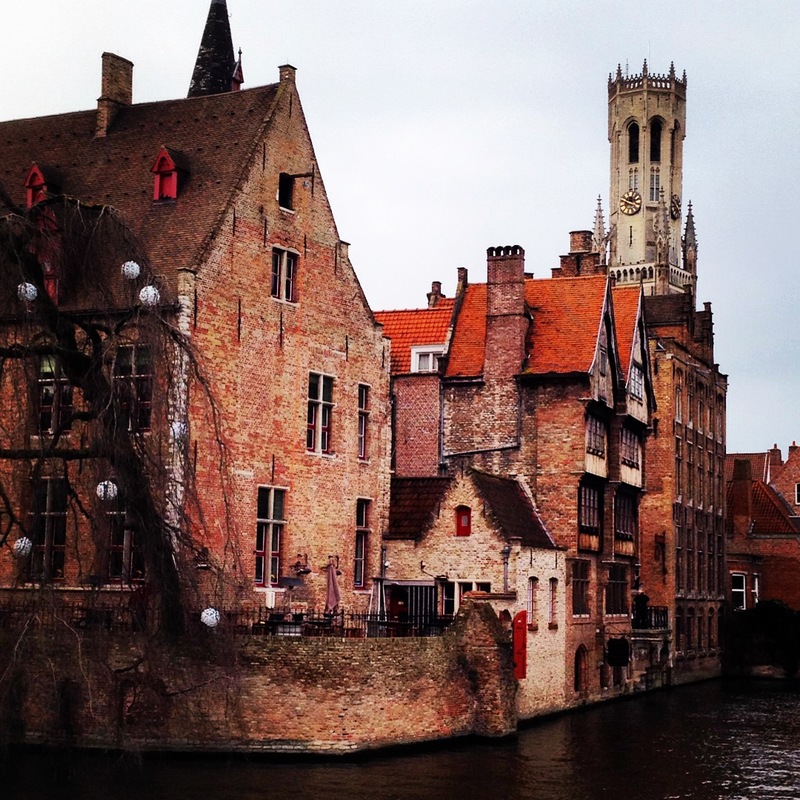 This little corner of Bruges captures everything magical about the city. The canal curves to show off a weeping willow tree covered in giant baubled fairy lights. The Belfry Tower just peeks out above the tiled rooftops and swans call it home. 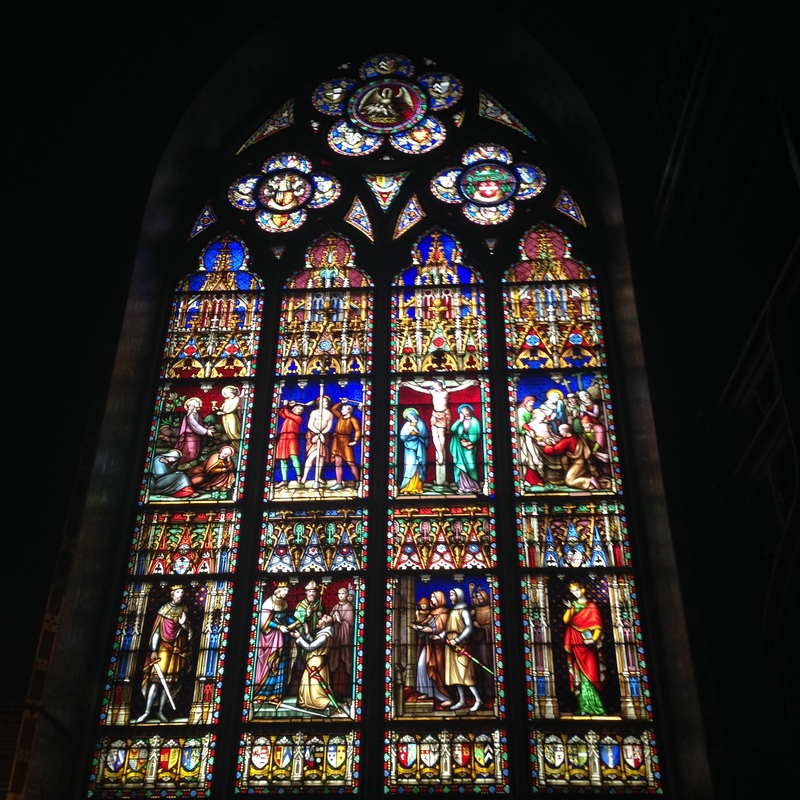 Visit it regularly, take as many pictures as you can as you’ll see something different every time you walk past. Not as gory as it sounds, this hidden church is just of Markt Square and for the modest price of €2, you can see the relic of the Holy Blood which claims to be the preserved blood of Jesus Christ. The vial is no bigger than a test tube, and is looked over constantly by member of the church (just in case any one was particularly keen on taking it home as a souvenir I’m guessing). It a 10 minute tourist pitstop, but how often can you say you saw Jesus’ blood? 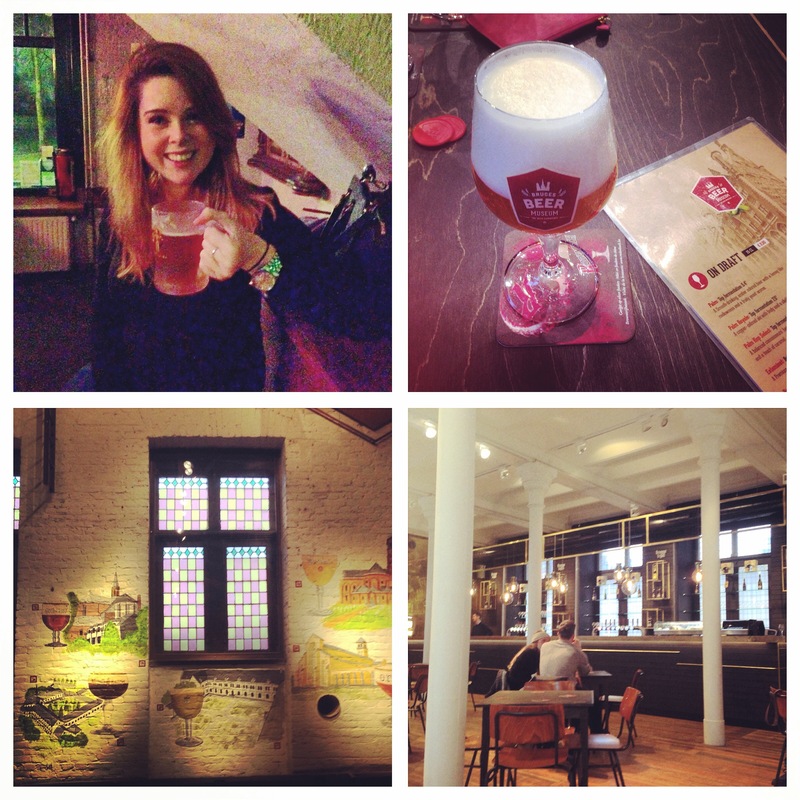 A beer museum….It makes for a great last stop, right? But don’t get swept away with the free beer just yet – yes there is free beer at the end! Your €13 ticket gets you entry into the museum and three free glasses of beer in the lofty bar once you’ve finished the tour. The museum is really interactive – you use an iPad and earphones to navigate the path, scanning barcodes of the topics you want to know more about. The second floor is particularly interesting as it has a whole section dedicated to Belgium’s Trappist beer history. It might make your selection at the bar that bit easier! Cheers! 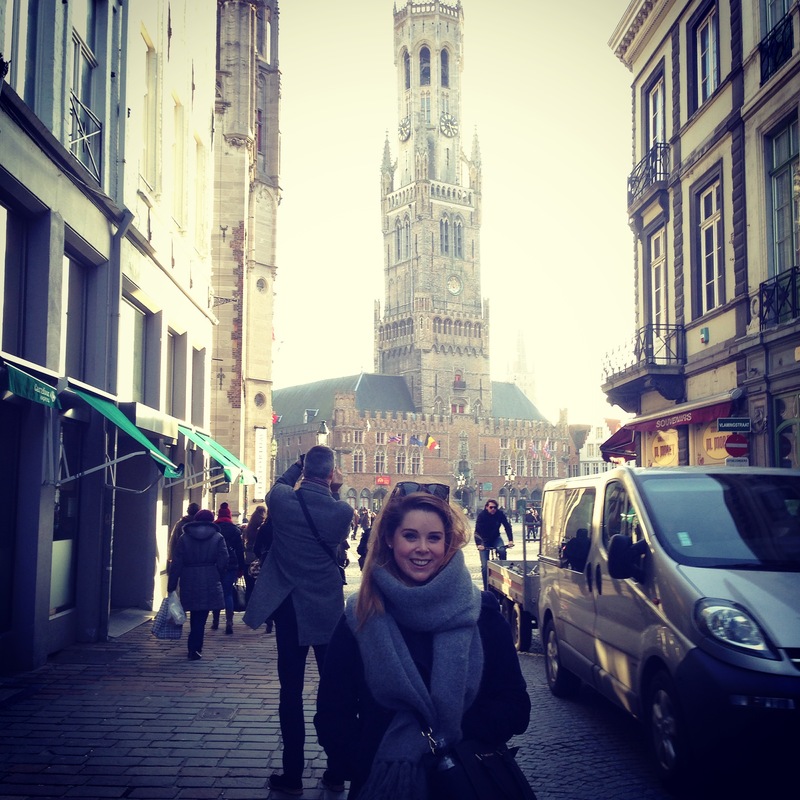 For more info on beer tasting and where to eat in Bruges, read my post on the best places to eat and drink in the city!